As a credit consumer, one of your worries about your debt is how you will keep up with your dues when you happen to encounter an accident, a prolonged illness, or redundancy at work that makes you unable to have enough money. When Payment Protection Insurance was introduced to the financial services industry, you felt you finally had a viable option to protect your account from getting in arrears. It was designed to cover a portion of your repayment dues when such horrible situations come in, and usually takes over the repayment for a year or until you are able to get back into paying them yourself, whichever comes sooner. Unfortunately, along with the introduction of the add-on service, came a number of ways for bank to wrongly sign up their borrowers to it. Some were clueless that they had it together with their credit card, loan, or mortgage. They were automatically signed up without them agreeing to such. Others had no idea what it’s all about. There were merely sold a product without establishing their need for it or its suitability to their current financial situation. Information was also kept from some, together with their eligibility not being determined. There were credit consumers who were under the age of 18 or over 65 that were sold PPI. Others had pre-existing medical conditions, or not employed full time, making them ineligible to enjoy the policy’s benefits. 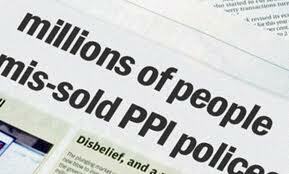 When the mis-selling scandal was discovered, the authorities encouraged consumers to act to resolve it by making PPI claims. Financial advisers and independent PPI claims companies came in handy to assist those who have no idea where to begin with and others reclaimed the payments on their own, given enough information they have read about in the news and on the Internet. Banks were obligated to review every claim that came their way, and eventually reimburse the money paid to the product they mis-sold to their customers – including interest that it rolled in over time. To date, there has been roughly an 85% success rate among people who reclaimed on a mis-sold Payment Protection Insurance policy. If you happen to have been wrongly applied a policy alongside your borrowed money from any known financial institution, you can actually do the same, given that you have gathered enough paperwork to back up your claim. You can begin your PPI claim by checking references to the policy in your statements, credit agreement forms, and other related paperwork. This will establish how long you have had PPI and a rough estimate of how much money you paid to it. You also need to put your claim in writing. State the way it was mis-sold to you clearly. Also, tell the bank your intent to have your account reviewed and your payments reimbursed. They will run a thorough investigation of your claim by looking at the details and paperwork you presented, and the account information they’ve got in their database. They generally close the review within a 6 or 8-week time frame but it all depends on how complex the claim may be. The bank should notify you about it – whether the review is done and they’ve reached a decision, or they need more time to look into the case. A follow-up communication may also be considered if you feel it has taken them longer than what you expect. If your case was closed with a decision that is unfavourable, or you’re just not contacted by the bank, you don’t need to worry. You can actually appeal for a Final Response from them or lodge a complaint to the Financial Ombudsman Service who will review the claim you made further. The Ombudsman will also question the bank’s actions to resolve your case. They independently work to resolve these kinds of disputes and usually need more time to look closely at things. When successful and your case was proven valid, the bank that sold you PPI will be required to make an arrangement for compensation. A computation of how much they owe you this time will be presented and discussed. If you happen to still owe them in borrowed money, you can arrange for your compensation to cover it. If there’s more left, they’ll issue payment for it. Next Post: Which stocks are the best to go for?